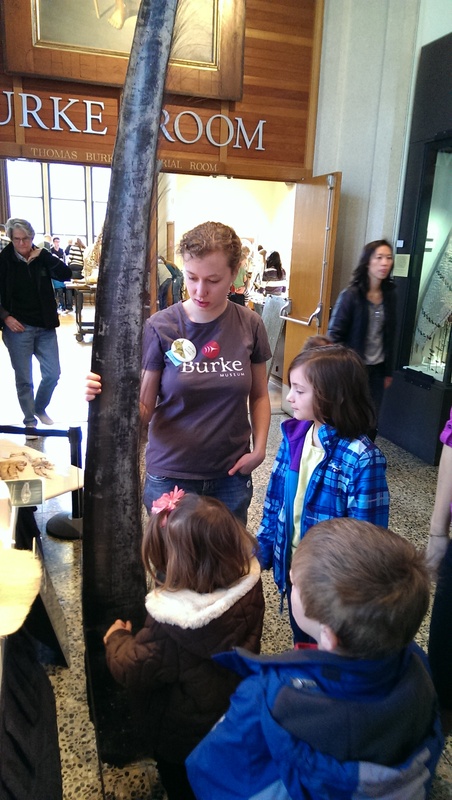 Last week was “Meet the Mammals” day at the Burke Museum of Natural History. I went on a whim; Brian was out of town for (yet another) academic conference, and I was up for anything to keep the kids entertained for the morning. We pet a possum, Maw. But, whoa! This program was fantastic! 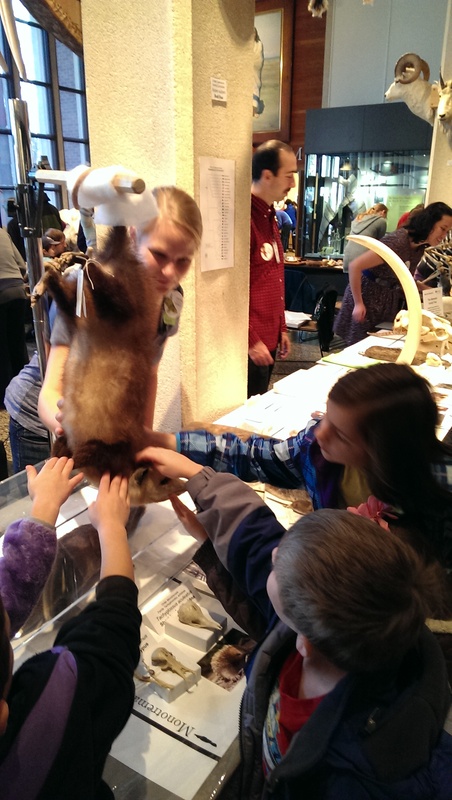 The museum staff sets up big tables of mammal stuff — bones, teeth, taxidermied specimens, pelts, etc.) and kids get to explore them all. And when I say “explore them all,” I mean they got to touch pretty much everything. As someone who has always hankered to pet zoo animals, this was very much a wish-fulfilling day. Just so you know: giraffes are not velvety, and neither are zebras. (They feel like horses.) The cuddliest of all the animals is probably not koalas, but snow leopards. Although the “softest fur” award should probably go to . . . bats. Seriously, bats have extremely soft fur. 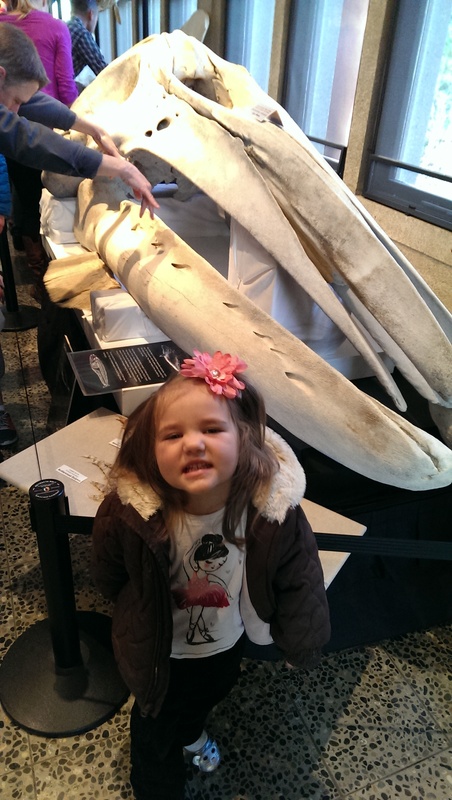 Eleanor giggles while holding a whale’s flipper bone. Well, wouldn’t you? 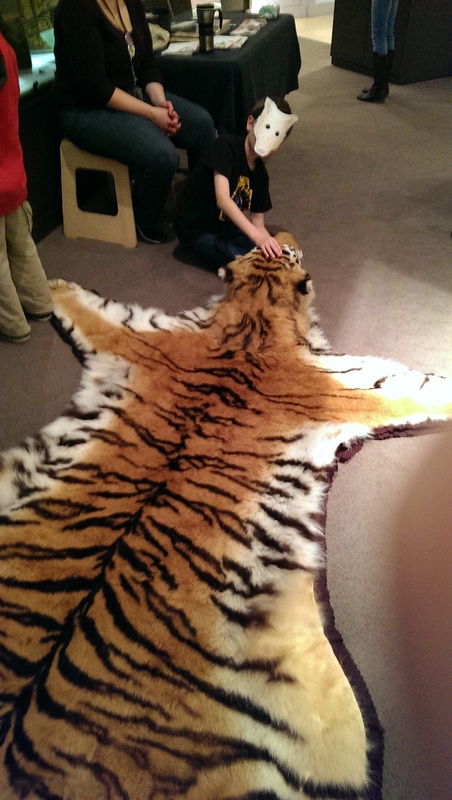 I was also incredibly impressed with the scads of museum staff and volunteers who were on hand to teach the kids information about the specimens (as well as to make sure that nothing got broken). 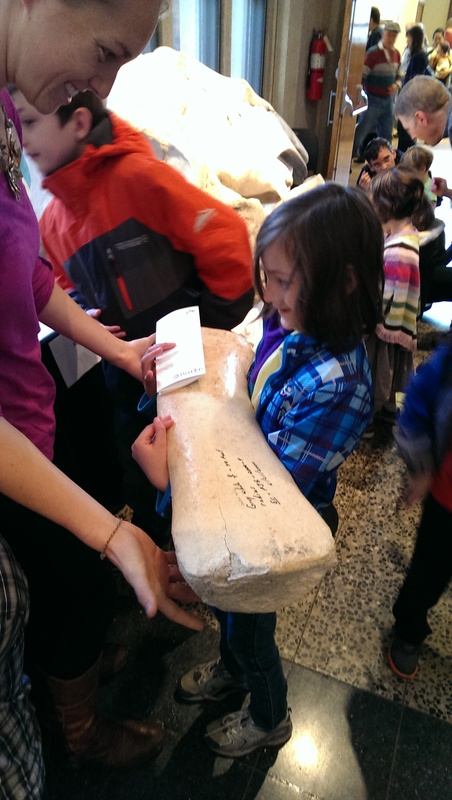 There were lots of hands-on experiments, like assembling an orca skeleton, or playing old instruments made from animal products, or filling the skulls of an ancient early hominid to see how much space there was for brains inside (guess what: a modern human’s skull has room for 50% more brains). 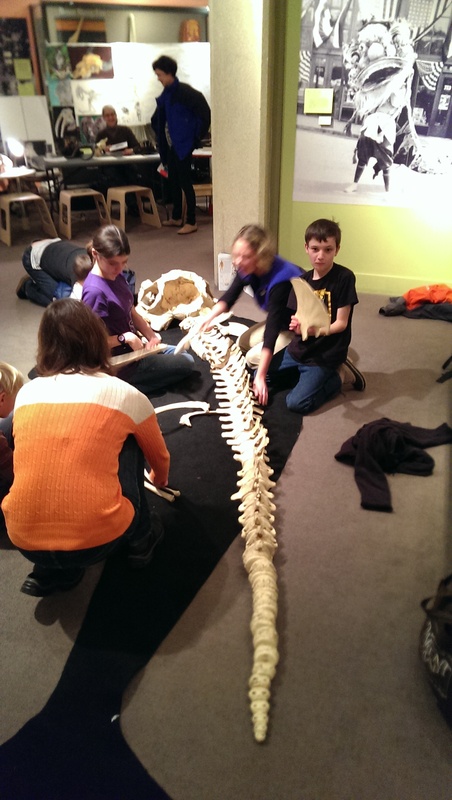 Jeff loved assembling this orca skeleton. Over and over and over. See, it was the belly doing the rubbing. Not the other way around. Just to clarify.